So that Porsche can continue to fund projects like GT-division products such as the new 2019 Porsche 911 GT3 RS, it has to generate big profits through other models. With the current popularity of all things SUV, the third-generation Cayenne is what probably generates the most to keep the lights on in the GT-division, so keeping it ahead of the game is vital. So, in an effort to broaden its customer base and fight off some of the reputation SUVs have for guzzling fuel, Porsche is introducing a new version of the Cayenne E-Hybrid plug-in that's set to go on sale early next year. This is no superficial facelift though, as the new Cayenne E-Hybrid is going to be an improvement on the current incarnation in just about every measurable way. Its combination of a 3.0-liter mono-turbo V-6 engine and electric motor will produce 455 horsepower and 516 lb.-ft. of torque, and the 14.1 kWh lithium-ion battery pack will deliver an electric-only driving range of up to 44 km. The zero to 60 mph time will be 0.7 seconds faster than the current model at an extremely impressive 4.7 seconds, the top speed will rise to 157 mph, and the quarter-mile can be achieved in 13.3 seconds, which is 0.9 seconds quicker than at present. 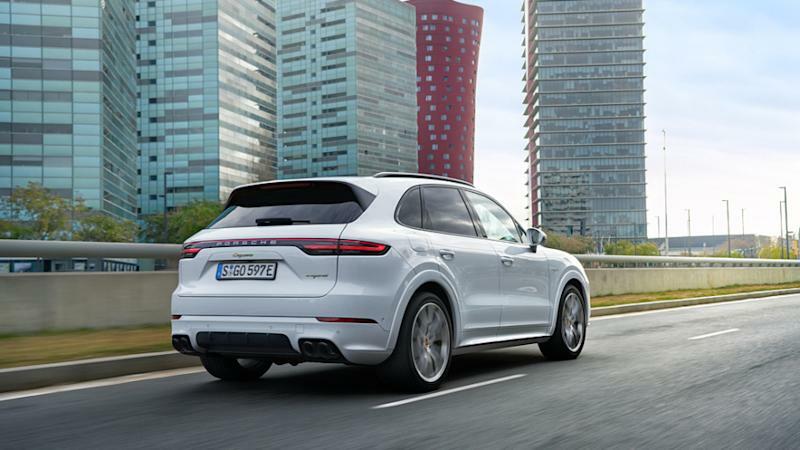 When using a 230-volt 32-amp connection and the optional 7.2 kW onboard charger, the battery in the new Cayenne E-Hybrid is capable of being recharged in just 2.3 hours. With a 10 amp supply and the 3.6 kW charger that comes as standard, the Porsche will take some 7.8 hours to recharge. Both times are noticeable improvements over the outgoing model. As for the aesthetics, the Cayenne E-Hybrid will sport the obligatory Acid Green accents on the badging and brake calipers to advertise its environmentally-friendly credentials. It also gets some massive 22-inch wheels, and they are a first for any Porsche model. 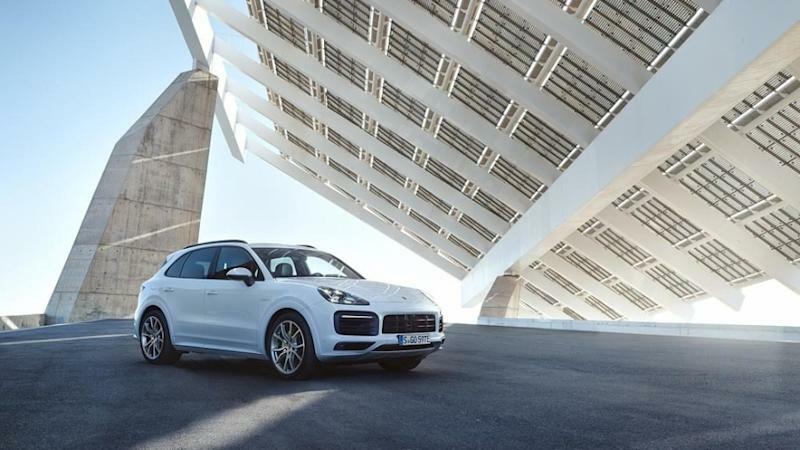 The interior of the E-Hybrid gets Acid Green needles on the tachometer and Sport Chrono dial, and the Sport Chrono package and Porsche Active Suspension Management system are now part of the standard equipment for all Cayenne E-Hybrids. The 2019 Cayenne Hybrid will go on sale early next year with prices staying largely the same as they are for the 2018 model.